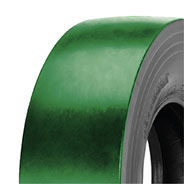 For years, Ecomega has been a leader on the international construction tyre market. Thanks to its highest expertise and the use of the best technologies currently available, Ecomega has designed a new set of Compactor C1 tyres. Ecomega Compactor C1 tyres guarantee exceptional performance, excellent traction and maximum safety anytime and anywhere. Even while operating under the most challenging environmental conditions, Ecomega Compactor C1 tyres ensure maximum stability and reliability. Ecomega’s experts have created a new set of compactor tyres that would meet whatever construction needs you might have worldwide. Choosing your new set of Compactor C1 tyres has never been easier. Thanks to their highest versatility, Ecomega Compactor C1 tyres will fit whatever needs you might have for your construction operations. One of the best features of Ecomega Compactor C1 tyres is their smooth and flat tread design that guarantees even ground pressure during all different types of operations. Ecomega Compactor C1 tyres offer even wear over time and reduced ground pressure during your construction operations. 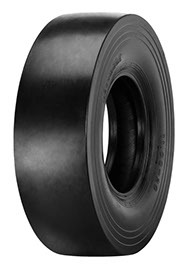 Thanks to many years of thorough testings, Ecomega’s experts have developed a heat-resistant rubber compound that guarantees maximum durability of your compactor tyres. Ecomega Compactor C1 tyres feature exceptional tyre life, ensuring lower maintenance and repair costs over time. Ecomega Compactor C1 tyres feature reinforced and improved sidewalls. Thanks to the newest sidewall structure, Ecomega tyres guarantee maximum stability anytime and anywhere, even while operating on the most challenging types of surfaces. On top of that, robust tread shoulder guarantee maximum compaction and minimum grooving, even while operating under the toughest environmental conditions. If you are looking for a high quality set of compactor tyres, then you came to the right place. Thanks to many years of dedicated research and testings, Ecomega has introduced a new set of Compactor C1 tyres that guarantee maximum stability, safety and resistance to accidental damages, at any time.